Joomla 4 is coming. Although it is to early to start migration, it is about time to play with it. There are a lot of things I am disappointed and even angry about Joomla 4, but who am I to judge, right? Any way, although it took me a while to create valid installation package, I have been able to create one for Emerald extension. Of course finally Bootstrap was updated. Too late, but at least. So Emerald had an ugly look. It did not take long to refactor administrator part templates, and it looked beautiful again. Frontend took little bit more of my efforts. Those who stay with me know that I always try to develop native Joomla extensions. Native mean extensions that have internal architecture just like Joomla developers intended it to be. 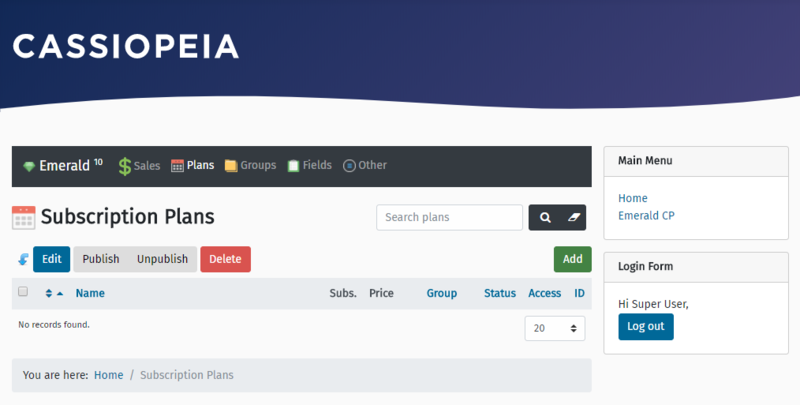 Fully based on Joomla API. I probably most stubborn developer, who stood last to keep Extension up to date with full Joomla MVC support. But after've been screwed by Joomla few times, I'd learn my lesson. 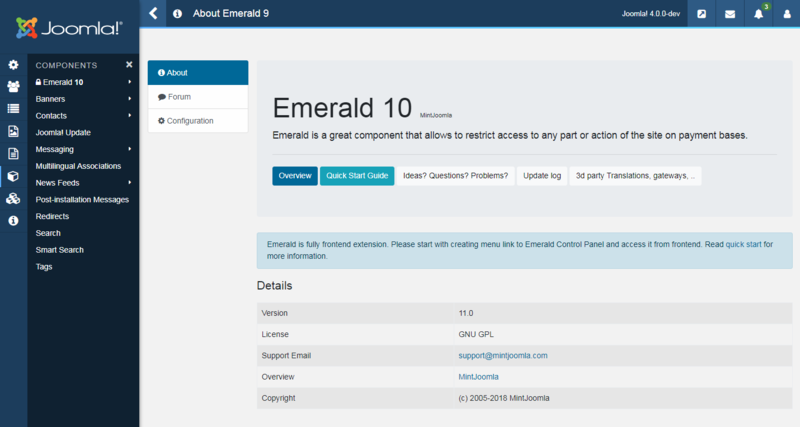 Emerald 10 already run on a copy of Joomla 3 MVC library. I'd decoupled it, stored in different location, and attached to my extension. It is like I created copy of Joomla and said "Enough! I am good with that, unless your changes to MVC pattern really bring some technological advantages." And I was right. If I were to keep my path of loyalty to Joomla I would be screwed once more again. So luckily, everything almost worked out of the box with few class replacements. It took me around 2-3 hours to get unstyled Emerald to be rendered without errors. Another couple of hours and it started to look much better. The purpose of this article is to confirm that Mintjoomla extensions are going to support Joomla 4.